Sisters Pam Soliday and Janet Nesbitt opened the Buggy Barn in 1996. Their shop is located outside of Reardan, in the heart of Washington's wheat country, just 2 miles west of Spokane. The shop is in a century old carriage house, dubbed the Buggy Barn by the daughter of the family who homesteaded there. Pam and Janet are avid scrap quilters who love to mix prints and plaids and are known for their unique sense of color. 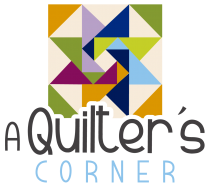 In addition to the retail shop, Pam and Janet also publish books and patterns and have developed their own quick and easy method of crazy quilting. They have designed several lines for Henry Glass including: Crazy about Hearts and Stars, Star Struck, In the Pink, Creamery Neutrals & Sunny Side Up, Pumpkin Spice, In the Pin and Farmhouse.